The chronology below follows the history of the Bahá’í Faith from its birth in mid-19th century Persia (now Iran) to its emergence as a world religion with adherents from virtually every nation and ethnic group on earth. 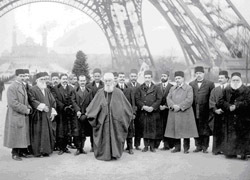 The beginning of the Bahá’í Faith in Iran created a tremendous upheaval across the country. Many in the centers of power felt threatened and considered the new Faith a heresy to be suppressed by any means. This oppression continues to this day. 23 May 1844 – Siyyid Ali-Muhammad, a 25-year-old merchant in the city of Shiraz, Persia, announces that He has been sent by God to prepare humanity for a new age and the imminent appearance of another Messenger even greater than Himself. He takes the title of the Bab (meaning “Gate” in Arabic). 1844-1850 – The Bab’s religious teachings spread rapidly and are viewed as heretical by the clergy and government of that time. 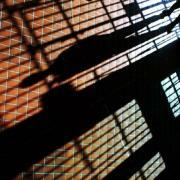 The Bab is imprisoned and more than 20,000 of His followers, known as Babis, perish in a series of violent massacres throughout the country. 9 July 1850 – The Bab is publicly executed in the city of Tabriz, Iran. Some 10,000 citizens are present to observe the execution. Bahá’ís recognize the Bab as both an independent Messenger of God and the forerunner to Baha’u’llah (meaning “the Glory of God”), the founder of the Bahá’í Faith. 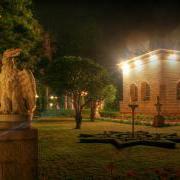 Born in Tehran on 12 November 1817, Baha’u’llah was a member of a noble family that traced its lineage to imperial Persia’s Sassanian dynasty. In His mid-20s, He declined a life of wealth and privilege to pursue humanitarian goals. Baha’u’llah embraced the Babi religion in its earliest days and became one of the leading disciples of the Bab. 1852 – Baha’u’llah is arrested, beaten, and thrown into a pestilential underground dungeon known as the Black Pit. While in the darkness of the dungeon, Baha’u’llah receives the Revelation that He is the Messenger of God foretold by the Bab and the Promised one all ages . Baha’u’llah is released after four months and exiled to Baghdad. Approach to the prison city of Acca, Baha'u'llah's final exile. 1863 – Baha’u’llah is banished a second time, to Constantinople (Istanbul). On the eve of His departure from Baghdad, Baha’u’llah announces publicly that He is the long-awaited Messenger of God. Thereafter, the religion is known as the Bahá’í Faith. Bahá’ís recognize Baha’u’llah as the most recent in a line of Messengers of God that includes Abraham, Moses, Krishna, Buddha, Zoroaster, Christ, Muhammad and the Bab. 1863-1892 – Baha’u’llah reveals numerous volumes of Sacred Scripture, outlining His Teachings, answering difficult theological questions, and establishing the laws and institutions of His faith. Baha’u’llah is a unique world religious figure in that He establishes in writing the future pattern of the organization of His faith. He also writes letters to the kings and rulers of His day, informing them of the advent of His Revelation. 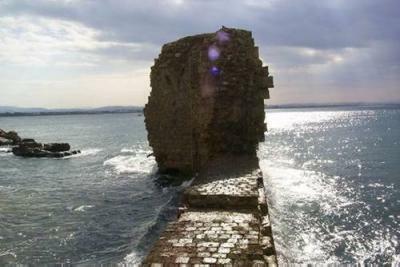 1868 – Baha’u’llah arrives in the Holy Land with about 70 family members and followers, sentenced by the Ottoman authorities to perpetual confinement in the penal colony of Acre. The order of strict confinement was never lifted, but due to the growing recognition of the eminence of His character, He eventually moves outside the walls of the Old City of Acre to a nearby estate called Bahji. 29 May 1892 – Baha’u’llah passes away and is interred at Bahji. 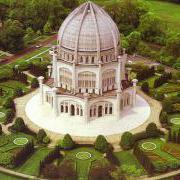 For Bahá’í, His Shrine is the holiest place on earth and a place of pilgrimage. At His instruction, the spiritual and administrative center of His Faith is permanently fixed in the Haifa/Acre area. 1911-1913 – Following the Young Turk Revolution, ‘Abdu’l-Baha’s imprisonment under the Ottoman Turks is ended. He then journeys throughout Europe and North America to encourage nascent Bahá’í communities and to proclaim Baha’u’llah’s teachings to the general public. 1921 – ‘Abdu’l-Baha passes away, leaving a will designating His eldest grandson, Shoghi Effendi (1896-1957), as His successor and conferring upon him the title of Guardian of the Bahá’í Faith. 1963 – Following Baha’u’llah’s instructions, Bahá’ís elect the Universal House of Justice, the world governing body of the Baha’i Faith. Elections for the Universal House of Justice are held every five years. Endowed by Baha’u’llah with the authority to legislate on all matters not specifically laid down in the Bahá’í scriptures, the Universal House of Justice keeps the Bahá’í community unified and responsive to the needs and conditions of an evolving world. Today – The Bahá’í community encompasses over 2000 ethnic and cultural backgrounds. Bahá’í communities are established in more than 230 countries and dependent territories, with elected national administrative institutions in 182 countries.